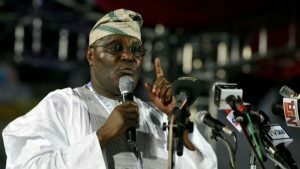 Alhaji Atiku Abubakar, the Peoples Democratic Party (PDP) Presidential Candidate has pledged to complete the Mambilla Hydro Electric Power Dam in Taraba, if elected as President. The PDP candidate also promised to tackle insecurity in the state and the country head-on, to pave way for rapid development. He noted that Atiku’s candidature was a symbol of unity and progress of the country, adding that he should be supported for a better Nigeria.